There have been many, many days while at work I have wondered why the boss is bullying his employees. What exactly causes this behavior from someone who is supposed to be in charge and a leader? Why does he constantly lose control, or is he? Does he have some inner demon that he can’t control? Is he facing some huge personal strife that has caused him tremendous mental anguish? Is he suffering from some kind of mental disease or disability? Perhaps all of the above is true. However, whatever issues the boss is dealing with should not be taken out on his employees. NEVER. Bosses who bully employees are not the same as a “tough” boss. Many people who are being bullied try to rationalize it by saying the boss is tough. While a tough boss might have very high goals on what they want accomplished, a bully sets goals so out of reach they cannot be attained. Being tough might mean they expect high standards from all their employees but a bully will single someone out for abuse. A tough boss wants their employees to work hard and put out their best effort in getting the work done. A bully will call you demeaning names or try to humiliate you in front of others. Most likely you will feel like a servant and will get no respect from them. Research has shown that bullies seem to target their best employees. This is apparently because they feel threatened and they are scared that the employee is actually doing a better job than they are. But there are also bully bosses who target the employee who is meek and mild-mannered. The boss finds them weak and easily intimidated so they make an easy target. My own experience has shown me that the workplace bully I am dealing with targets the most experienced and capable as well as targeting the mildest employees. I feel certain that he targets me because I actually have as much, if not more, experience than he has. When I started working for him, I expected him to ask me about that experience because it certainly would have benefited the office. Now several years later I can say that he has never once asked me if there were other ways, perhaps more efficient ways, to handle situations. He has never once asked me what I have done in other offices or what I could contribute to this one. He has never once asked me for advice or even an opinion. The saddest part of my own experience has been watching the bully target the easy-going, friendly, and sweet employees. Believe me, I have watched many co-workers sitting at their desks crying because of his abusive treatment. I have watched co-workers cringe at his outbursts. I have watched co-workers resign because they just couldn’t take it anymore. My own personal opinion about bosses who bully employees is that it has to stop. There are NO excuses for the behavior. If they are having personal problems, then take some time off to deal with them. If they are having some kind of emotional breakdown, then take some time off to deal with it. If they are having a crisis of some kind, then get help. But don’t EVER bully an employee. I am still at the job, although I hope not for long! Every day is a struggle, but I’m not going to let him win. I have a plan! That plan is to start my own business from the comfort of my home. The way I am learning online marketing is through a fantastic platform called Wealthy Affiliate. It is a training and resource platform that teaches you not only how to start a website, but how to do it right. There are tons of training available and I am still learning. Since everything is online, I can work at my own pace. Here is an article I wrote about my experience with Wealthy Affiliate. If you are trying to deal with a boss who is a bully, you should consider Wealthy Affiliate. They offer a free starter membership so it can’t hurt to check it out! I can honestly say that it has been a lifesaver for me and I can recommend it without hesitation. Anyone who is dealing with a workplace bully can reach out to me. You can contact me by leaving a comment below. I know how awful it is and I do know what you are going through. If I can help in any way, I will certainly try. You have a safe place here! The Angry Boss – What Does It Mean? Hello and thanks so much for sharing, we can find alot of them in the workplace. I had to stand up to my former supervisor after getting tired of him talking to me the way that he did. When I finally stood up to him he never bothered me again up to the time that I resign. Thanks for sharing this post. Thank you Norman for sharing your experience. Standing up to your supervisor was the right thing to do. Did you resign because of the supervisor or was it another reason? I know bullying in the workplace is a problem. I also believe it needs to stop. Thanks for your comments and I hope you check out my other posts as well. Thanks so much for these great insights. I have run into a few of these characters over the years as well. They usually self destruct as they are compensating for lack of self esteem and the need to prove they are better than others. All the very Best as you continue to create valuable content. Thank you so much for your comment Joseph. Honestly I feel that bullies should self destruct! My boss may be realizing a little destruction as he does not have nearly the clients he used to and I think it’s because people are hearing how badly he treats people. One can only hope anyway. Thanks again for your thoughts on bullying! I use to work for a little short guy with little man syndrome myself. He would throw temper tantrums, break stuff, punch walls and so on. I really feel you hit the nail on the head here. I am a very experienced collision repair tech who is also a licensed auto damage appraiser. I know he felt threatened because I definitely knew a lot more then him. I bit my tongue and did my time until the opportunity arose for me to open my own shop. The best feeling in the world was the morning I pulled up in a flatbed, loaded up my tools, handed him the keys to the shop and said SEE YA AROUND and some(Choice Words LOL). My business became very successful and over the years hired some of his best employees. I now lease the shop to one of his former Top Tech who became my Top Tech as I now work from home online and only keep 1 bay for my hobbies. 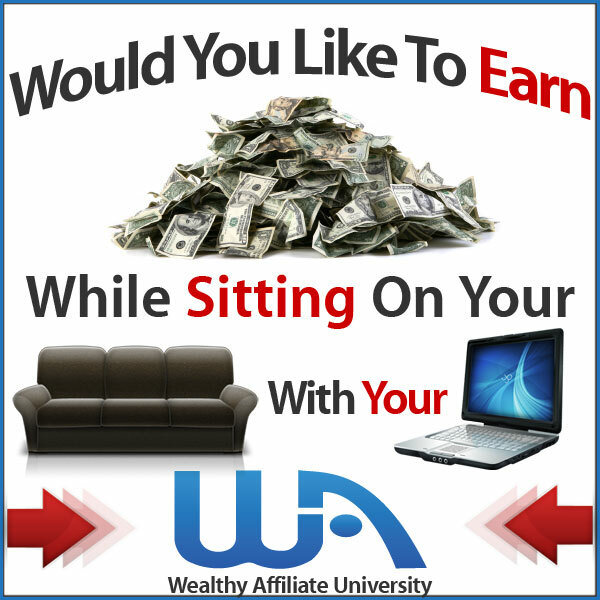 I also used Wealthy Affiliate as a platform to get started making money online. This was a great read. Good luck with your online venture, I can tell you from experience that it does work. Thank you so much for sharing your experience Jason! It means the world to me that you understand. I am so looking forward to the day I can tell the boss SEE YA AROUND and some (choice words LOL)! You’ve given me the courage to keep moving forward with Wealthy Affiliate and that a better future awaits me! Yes, I can definitely relate, because I have been bullied in the past by my manager at work. I had a bad nerve injury to my arm and my insurance company was not supporting my absence, although I was in so much pain. In return, my manager was not accepting to give me unpaid time off until I was able to come back again, nor was she willing to give me work part-time as I recovered. She said straight to my face that it was either I come back or I lose my job. I naturally quit that same day. From then on, it has been a constant money struggle, but at least, I am almost back to normal. I am a current member of Wealthy Affiliate and thus, I can vouch for what you say about the platform. It is an all-in-one platform that has all the tools, training and support that you will ever need to start an online business, be able to work for yourself and escape the daily struggles that your boss or your manager constantly puts you through. I have been with Wealthy Affiliate for 9 months and loving every minute of it. Thank you for sharing your experience with a bully Reyhana. And I am so sorry you had to endure not only physical pain, but emotional pain as well. Let’s keep our fingers crossed that the manager will be needing a job one of these days! You were very brave to quit without knowing where you would go or how you would support yourself. I wish I had that courage! Hopefully, we can find our true path at Wealthy Affiliate and we can look back some day at those nasty bosses and say “never again.” Please let me know how you are doing in your journey and I will do the same! Thank you Vicki! I am very confident that I made the right choice! This is such a great post and I can really appreciate the fact that bosses that bully should try different measures for getting their issues solved. I have a boss at work that tries to bully her employees and I have really noticed a big turn-over in her department as people just do not stay. I don’t think I would like trying to constantly train people just for them to leave, or is that part of the plan? I really like the idea of working with Wealthy Affiliate and working from home that is the ultimate job to have. I totally understand and planning on having an early retirement along side you. We can do this! Thanks for your great comment Dena! It really makes no sense from a financial standpoint why companies keep the bullies and let the workers leave. It has to be costing money to train, train and train some more. I really hope that one of these days companies will wake up and realize that bullying is an economic issue as well as a moral one. Time will tell I guess. I am very happy with Wealthy Affiliate and I hope we can do the retirement thing soon!